CANASTOTA, NY - FEBRUARY 1, 2019 - The International Boxing Hall of Fame announced today “Irish” Micky Ward will attend the Hall of Fame’s landmark 30th Anniversary celebration during the 2019 Hall of Fame Weekend, June 6-9th. “’Irish’ Micky Ward was a true warrior inside the ropes and the Hall of Fame is thrilled that he will be in Canastota to participate in the 30th Anniversary celebration,” said Hall of Fame director Edward Brophy. Boxing out of Lowell, MA, Ward was one of boxing's most exciting fighters. He turned pro in 1985 and used a crowd-pleasing style to register a 38-13 (27 KOs) record that includes wins over Shea Neary, Reggie Green and Emanuel Burton. In 2002 and 2003 Ward engaged in an epic trilogy with Arturo “Thunder” Gatti (1-2). Following their third bout Ward announced his retirement from the ring. During his career, the junior welterweight star was in “Fight of the Year” three times (2001 vs. Burton, 2002 and 2003 vs. Gatti). The Fighter, an Academy Award-winning motion picture chronicling his life, featured Mark Wahlberg as Ward and Christian Bale as his brother / trainer Dicky Eklund. 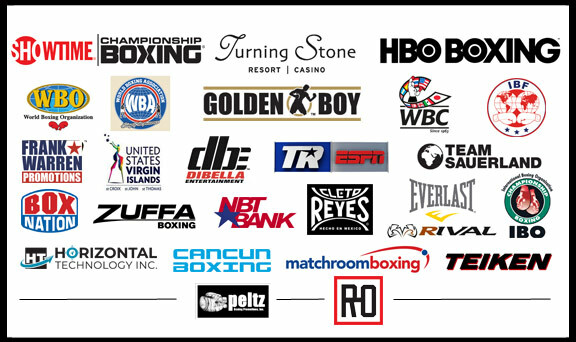 An impressive list of over 35 boxing greats from the United States and abroad, including five-time world champion Vinny Paz, are scheduled to participate in the 30th Anniversary celebration.